Give the gift of math this year. I know toys and maybe clothes are the only things on your child's Christmas list but did you know it's a GREAT time to pick up some amazing discounts on curriculum for your homeschool family - or those that may need additional help? A+ Interactive Math is currently 20% off, which is a pretty decent discount. 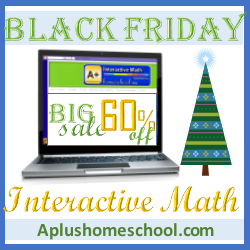 BUT, with this link you can get an additional 60% off on A+ Interactive Math! Simply choose the Online Math grade level you need (K1 - Algebra 1) and our program will do the teaching, testing, and grade tracking for you. A+ Interactive Math allows the parent to maintain control and work along with your child, while also encouraging independent study. So what will it cost with the 20% off and 60% off discount? What if you have already purchased for this year? A+ Interactive Math membership subscription will wait for you - the account does not become active until you have activated and launched it! Apply this discount to next year! What if your student is not ready for the next grade level and needs review? The 1 month and the 3 month options have been designed for this purpose! Try our all new FREE Placement Test Here - It will give you a comprehensive report showing any learning gaps or weaknesses in your child's math education. 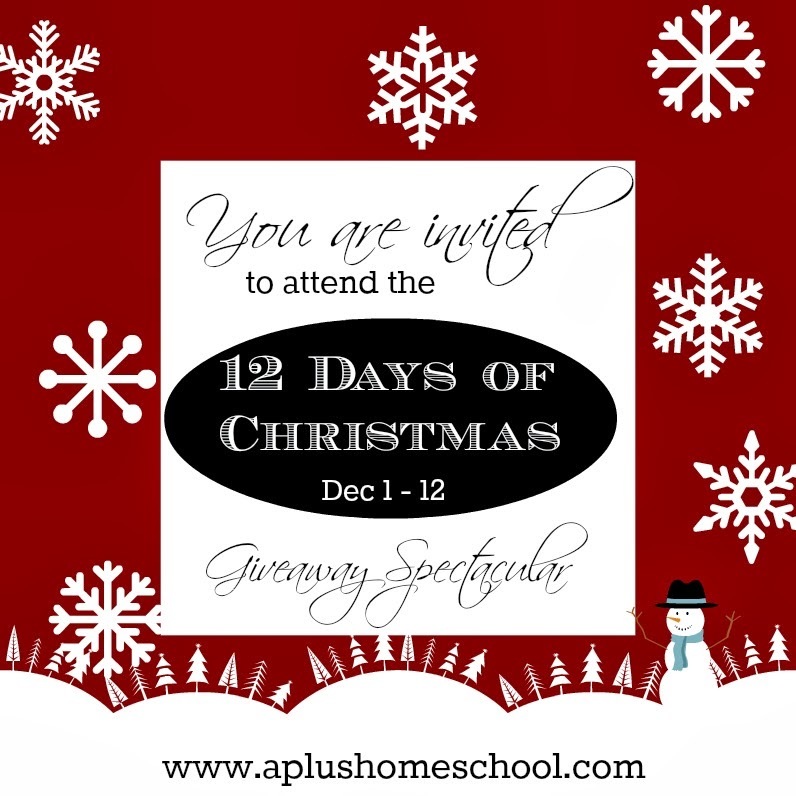 Be sure to enter the 12 Days of Christmas Spectacular Giveaway - Many homeschool bloggers, companies you know and love, and The Homeschool Foundation.org are joining forces to support homeschool families this season! A+ Interactive Math is contributing a total of 30 FREE - 1 Year Math Curriculum for families in the homeschool community and through the foundation. Family Time Fitness is matching that with 30 Physical Education curriculum packages for families! A+ Interactive Math loves other homeschool families, so they are partnering with The Homeschool Foundation to supply Free Math curriculum to those who need it - huge discounts for others and . . . .
You can enter to win a full year for your family - or a family who deserves it! Each of the 12 Days of Christmas Event - A+ Interactive Math will provide fun and/or educational stocking stuffers for everyone! They will be awarding surprise "Secret Santa" gifts daily throughout the 12 days from companies you know and love! Go ahead and enter below with your name - for yourself or a deserving family you know. The drawings begin on December 1 and go for 12 days! Enter for your family - or one who is deserving of FREE 1 Year of Online Math Curriculum - 30 Families will receive Full Math Curriculum for their families and 30 Families will receive Free Family Time Fitness physical education curriculum! Help us raise awareness for TheHomeschoolFoundation by sharing please! Let bless some homeschool families together this Christmas! Use one entry option - or use them all for additional chances to win . . . . .